Save the Kingdom of Serenity! * (Change) Big restructure of this window. 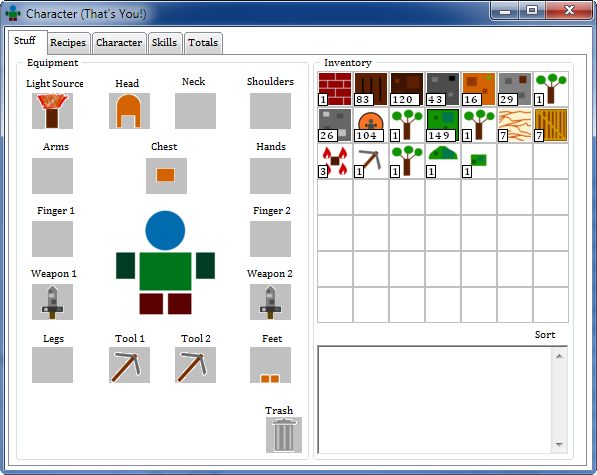 The Equipment and Inventory sections now live in the first tab, “Stuff” (great name). Recipes live in their own tab. * (Change) The Inventory is now, wait for it, actually like a normal game! A bunch of boxes on the screen, showing the image of the item and quantity. You can sort/order the items (drag/drop) as you wish. * (Fix) Creating an Item from the Recipes would cause a file error to occur. * (Add) Description field added which displays information on the selected (single-click) item, whether Equipped or in the Inventory. * (Add) Sort button that moves items into the top of the Inventory. * (Update) Tool section will show both Tools, if 2 are equipped. * (Change) Removed all the custom-built help sheet+tabs and replaced it with an IE internal window to the Ballikin Wikia page. * (Add) A new mob has been added. The .. dun dun dun .. DEMIWERE! Beware the Demiwere and so forth. Lives in the Desert biome. Very fast. Quite aggressive, high tolerance for pain. Decent damage. * (Fix) Waypoints were being populated before other things, which could result in them being overrun with stuff like trees. * (Change) Shrunk the radius within which waypoints can appear on a region. * (Change) The generation has been made better-good. 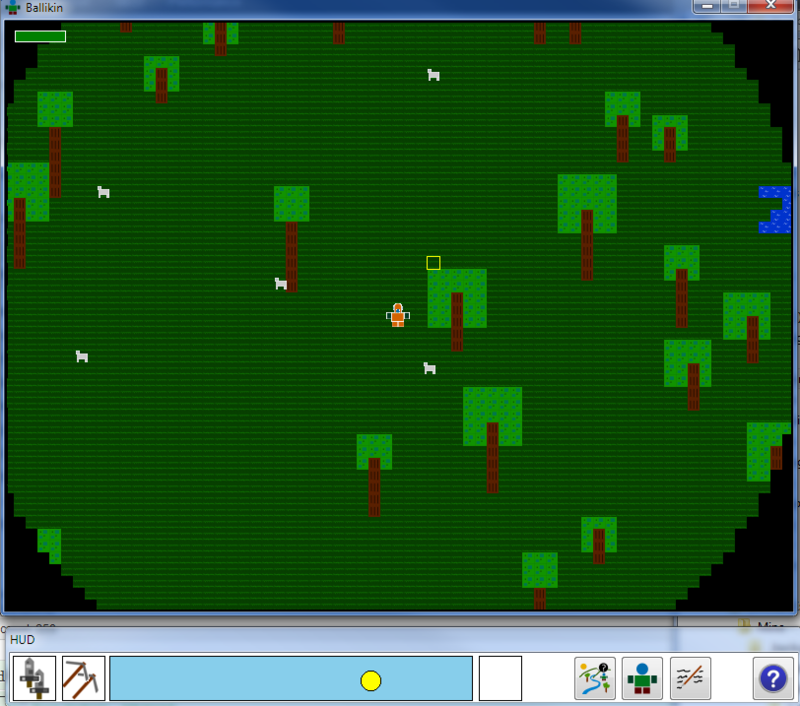 A little randomisation of the shape and size of the trees has been added. Also, code made easier to adjust this in the future. * (Change) Resources moved from CSIDL_APPDATA to CSIDL_COMMON_APPDATA. This entry was posted in Blog and tagged build notes by Stu. Bookmark the permalink.